SafeMama™ Sunscreen Criteria: All sunscreens we approved needed to be free of Parabens, Phthalates, PEG’s, Propylene Glycol, Phenoxyethanol, Cocamidopropyl Betaine, Sodium Benzoate, Dimethicone, SLS and a bevy of other chemicals I won’t bother listing. Brands exhibit a very respectable ingredients list. The sunscreening ingredient we mainly avoid is the synthetic chemical oxybenzone. Oxybenzone is an endocrine disruptor which can affect the nervous system, has been linked to cancer in some laboratory studies, and creates free-radicals when exposed to the sun which are harmful. Below are our selections of safer natural sunscreens that use mineral (or sometimes referred to a physical) sunscreen which is typically Zinc Oxide or Titanium Dioxide or any combination of those two. A note about the Skin Deep ratings. Their ratings are a good start, but take them with a grain of salt. They have a big job over there and sometimes formulas change and their information gets a little outdated. Which is why we stress learning to read the labels! A note about Micronized and Nano: There have been many reports that micronized vs. nano particles of titanium or zinc oxide have the ability to pass through the skin more easily (which is why they aren’t as white as others). There is also a concern that nano titanium/zinc dioxide particles have higher photo-reactivity than coarser particles and may generate free radicals that can cause cell damage. Some manufacturers have addressed this issue by coating the particles to prevent free radical formation. We have listed the exact active ingredient in each sunscreen for a reason. So you as a consumer can decide which is right for you. We will continue to investigate these materials further and share with you our findings. We are comfortable recommending sunscreens with Micronized zinc or titanium (most natural sunscreens ARE). NANO zinc or titanium is something we feel should be avoided if possible. A note about Vitamin A (retinyl palmitate): Recently the EWG put out their 2010 Sunscreen Guide and with it they made public some information regarding retinyl palmitate and its use in sunscreen. A study done by the FDA revealed it may speed the growth of skin lesions and tumors in lab mice. The study is still in a controversial stage at this point so instead of removing any sunscreens containing retinyl palmitate we have added a notation to the listing so you can decide for yourself. Reviews: Kathy says, “I had heard Badger sunscreen was like spreading toothpaste, but I’ve got to say that totally isn’t the case at all. Goes on thick (like any natural sunscreen) but spreads pretty easily, doesn’t have an overpowering smell and really protects nicely. One of my new favorites! Badger says its naturally water resistant and I’d have to agree. One of the few that are 100% chemical free.” Read our full review here! Notes: For extra protection, choose Badger Lip Balm SPF 15 – safe for you and the kids. Notes: This brand has a great ingredients list overall. *Contains Retinyl Palmitate. See for details. Update: A reader emailed us to say that mexitan has taken Retinyl Palmitate out of their sunscreen formulas. I have not heard back from them to confirm this. Notes: This brand was rated the top choice on EWG. Has a great ingredients list, no ickies – totally natural. I haven’t tried it yet but it seems promising. Notes: This brand rated really well with EWG . Has a great ingredients list, 70-80% organic, no icky ingredients. I haven’t tried it yet but it looks great… they also have a variety of adult versions and a face sunscreen too. Notes: Comes in 1 and 3 ounce sizes and in a SPORT, SPORT TINTED and a KIDS version. The Sport Tinted version is SPF 22. Notes: Purple Prairie has some great products and this one in particular has a fabulous ingredients list. Totally chemical free and uses mostly organic ingredients. Looks fantastic. And how cute is the packaging? Reviews: Kathy says, “I’ve been using this for a few weeks and really like it. It has no strong scent, goes on smooth and isn’t cakey or waxy. Has a lotion texture to it and absorbs great. Thumbs up!” Full review coming soon. Reviews: Kathy says, ” This sunscreen blends in wonderful and there is no over powering scent whatsoever – great for faces too. I use it mostly on myself as a daily sunscreen since the SPF is lower. Works great under make up too.” Full review here. Notes: Purple Prairie has some great products and this one in particular has a fabulous ingredients list. Totally chemical free and uses mostly organic ingredients. Looks fantastic. Important Editor’s Note: This is the only SuperGoop product we feel comfortable recommending. SuperGoop has reformulated their sunscreens to eliminate parabens and some synthetic ingredients but they still contain phenoxyethanol. They aren’t horrible but there are more natural choices. Follow the directions on the sunscreen you use for proper sun protection. However, our motto is “everything in moderation”. This means sun exposure too of course. It’s ok to be out in the sun for 20 minutes without covering every square inch of your kid with SPF 80. Sun exposure is good for us, (Vitamin D! ), and it’s been studied that people – especially kids – with regular moderate time in the sun are healthier and may have less risk of developing conditions like Multiple Sclerosis or other auto-immune deficiencies. But sunburns are not good, so choose a safe sunscreen and apply according to the directions for days when extended sun exposure is on the docket! When the option is available, use hats, cotton clothing or use the shade of umbrellas to avoid too much sun exposure. No need to bake in the sun all day… keep cool and stay in the shade! Investing in some SPF Protected clothing for the kids is a good idea too. 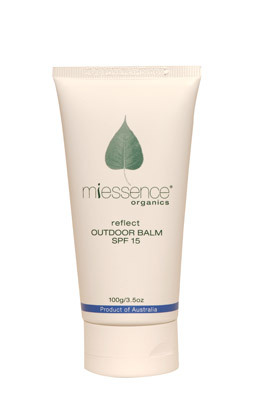 Reduces the need for so much sunscreen and can have a UVB protection of up to 50. Snapper Rock makes great SPF Swimwear for kids. We also like Baby Banz Sun Hats for baby and kids… they also have a wide brimmed bucket hat with an Ultraviolet Protection Factor rating of 50+. The wide brim helps keep sun off kids faces. If you can avoid prolonged sun exposure between 10-2 it’s recommended. Enjoy the outdoors! Be sure to check out our Safer Bug Repellent Report for safe choices to keep the buggies at bay.